After an energetic climb on the Great Wall and a brisk walk around the Ming Tombs in my Beijing tour this morning, I’m looking forward to winding down for the day but as I scanned the itinerary, my interest is spiked in anticipation of our next stop at Donghuamen Night Food Street. It’s also known to tourists as Wangfujing Snack Street, a food haven for exotic Chinese street delicacies. 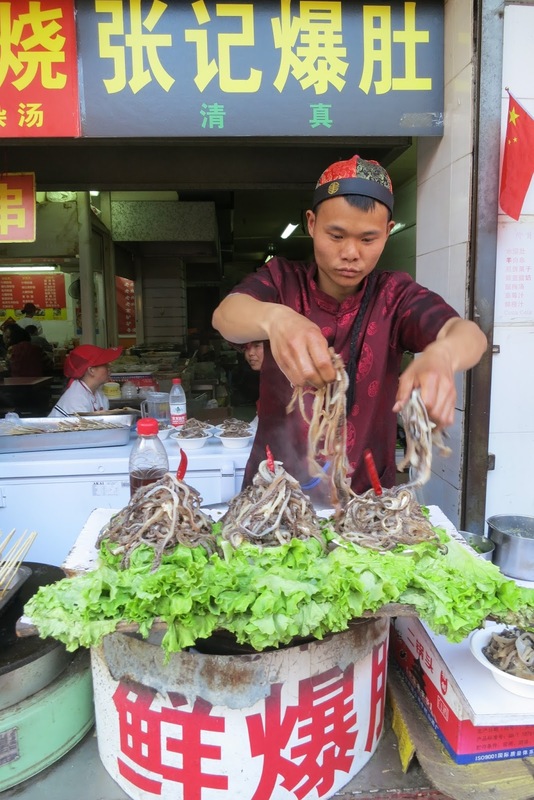 On the way there, our guide spoke in Mandarin before translating his spiel in English and I notice how he carefully chose his words to explain the Chinese tradition of eating particular foods to stimulate and strengthen healthy and vitality. He did not quite spell out the quintessential Chinese quest for elixirs of love but we know that traditional Chinese medicine does link some ingredients to a healthier libido. I soon learnt that this street maintains its traditional fame as a centre for certain food for men who are seeking a little boost in the bedroom but now it’s a major tourist attraction for a variety of exotic food to entice people with adventurous palates. Our guide encouraged us to capture many photo mementoes but gently advised to refrain from sampling any unfamiliar food if we do not have stomachs made of steel! I mentally brace myself at the entrance to the snack street before I plunge into the crowd that was swelling by the minute as after-office people arrive in search of a tasty treat. Easily identified by their office attire, these locals are familiar with their favourite food and have no qualms about slurping down scalding bowls of noodles while standing in a crush of people. Oops! It’s not noodles after all because when I look into their bowls, I realise the springy strings are beef tripe that have been cut into ribbons! I laugh at myself for such a silly mistake and make up my mind to look closer before deciding what the foreign food is. Most of the stalls that line both sides of the street have signs in English with prices listed in Yuan but food like dumplings, spring rolls, deep-fried crabs, barbecued crayfish, roasted quail and fried pancakes, really needs no introduction. The aroma of freshly fried food does something to my senses and I start to salivate, following my nose to check out the appetising items sizzling on the open griddles. Just as I’m drinking in these delicious flavours, my greedy nose is suddenly assaulted by the most disgusting smell of something rotten. 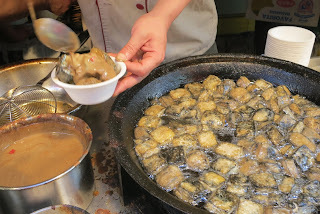 I wince in horror, baffled by what can smell so horrible in a food street but the pong gets even stronger as I approach the stall with a large wok busily deep-frying and trays filled with obnoxious stinky beancurd cubes. 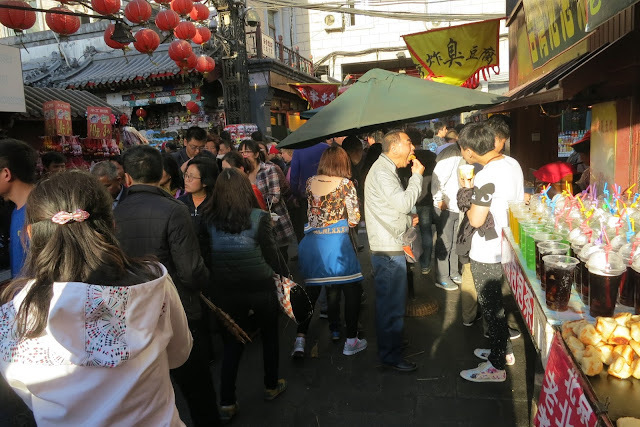 I do not hesitate to hurry pass that queue of chou tofu connoisseurs, waiting patiently for the vendor to serve their order of freshly fried stinky tofu drizzled in sauce, in a bid to escape from that foul smell! To save time and to control portion sizes, most of the snacks and ingredients here are served on skewers or sticks. 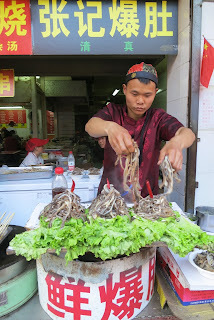 At some stalls, soups are on the boil or woks of heated oil are ready to give the customers’ choices of skewered ingredients, a quick hot dip before serving. As I check out some unfamiliar items and animal innards on the skewers, I must say that one of the most eye-catching skewers must be the ready-to-eat candied Tang Hu Lu skewers stuffed with colourful cut fruits and haw berries or san char coated with caramelised sugar. Despite the fact that there is very little medical evidence that back-up aphrodisiacal claims, the Chinese still embrace the belief that certain food can improve one’s libido. These traditionally include animal genitalia or food that resembles a phallus and some of the most bizarre creatures for general health and longevity. 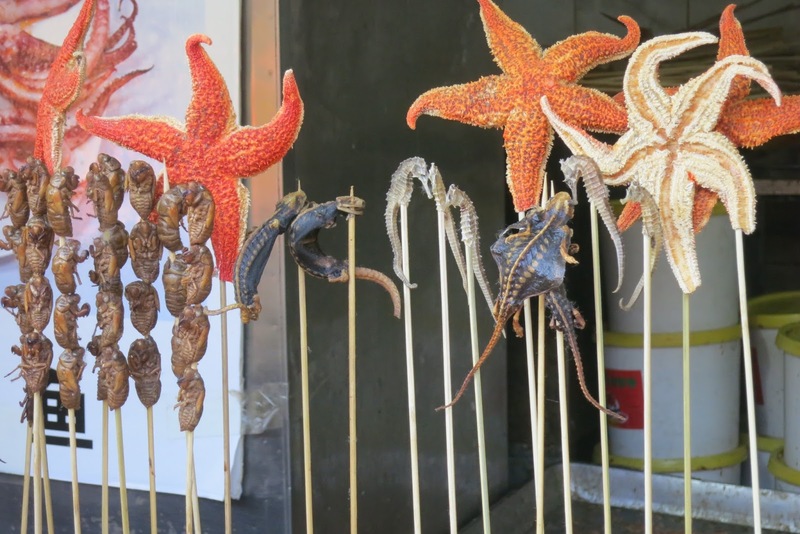 I remember seeing dried seahorses and geckoes sold for their medicinal value in traditional Chinese herbal shops but nothing prepared me for the sight of sticks topped by fried seahorses, starfishes, silkworm cocoons, scorpions and lizards! 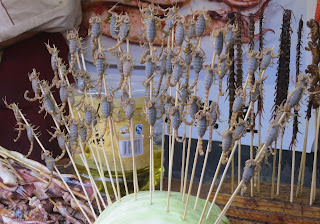 Wriggly baby scorpions on skewers! 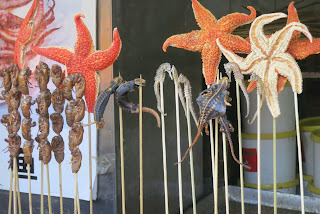 Exotic food in many Asian countries often includes deep-fried six-legged insects and grubs but I stood dazed for a moment as I process the thought of anyone eating these creatures as it must take a great deal of courage and determination to reap the desired effects of its promised positive effects. As I move on to the next stall, I wonder if the vendors display their wares to attract and shock tourists and I guess they succeeded with me. 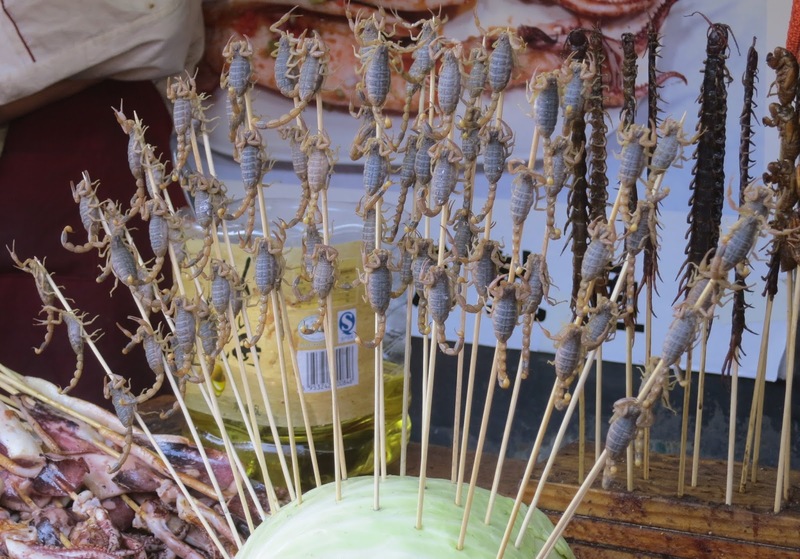 I’m swiftly distracted by an imperceptible movement on a fan of sticks and following a perverse curiosity to look closer, I shudder to discover that the sticks are impaled with rows of wriggling baby scorpions! Aargh! 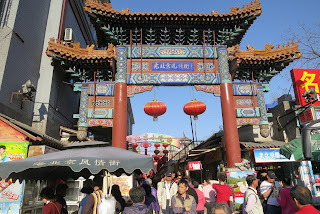 Donghuamen Night Food Street is located off Wangfujing Street, a broad shopping street close to Beijing’s best hotels and famous sites like Tiananmen Square and the Forbidden City. From 3.30pm, vendors will set up their stalls for business which starts around 4.30pm till 10.30pm. Prices here start from 5 Yuan and are higher than traditional street food stalls but it’s still inexpensive to have a satisfying meal. 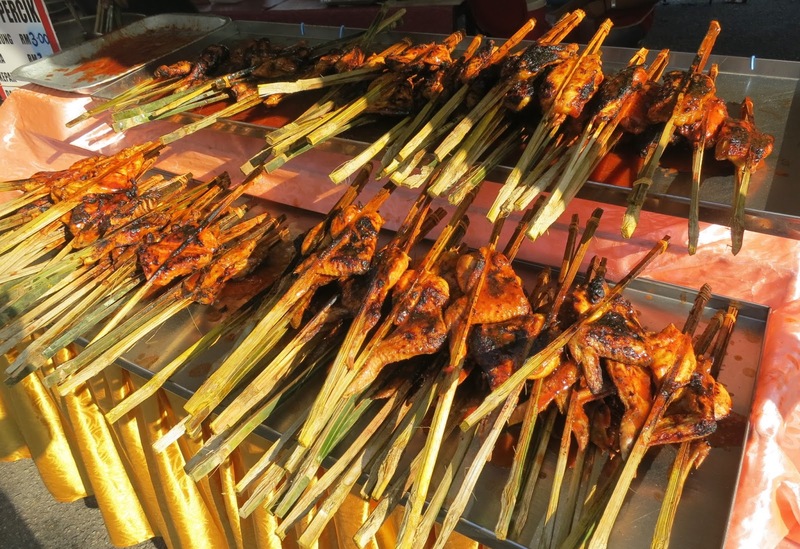 Be prepared to be jostled in the throng and keep an eye out for stray skewers to avoid getting impaled by one! I was born in Kedah, the youngest of six children and understandably, became very attached to my mother. I remember being her shadow, following her in and out of the kitchen and around the house. Mother worked hard to prepare sumptuous meals for a growing family and when I was old enough, she gave me little kitchen tasks like peeling small onions – a strange experience that made me weep! The women in my life are my inspiration and one of the first lessons I learnt from my mother is how fried onions are more fragrant when they are sliced. And the special recipe for a light but tasty fish curry from my aunt, a cook with the British Embassy in Kuala Lumpur, guided me on the finer points of achieving the best flavours. Good food is my passion and I’m challenged to reach greater heights of achievement by my wife, who is my first and most important food critic. After completing my tertiary education with Institute Technology Mara, it seemed like a natural progression for me to go into chef training. When I graduated, I was thrilled to start my culinary career as a Chef de partie with the Berjaya Resort in Redang Island in 1994. 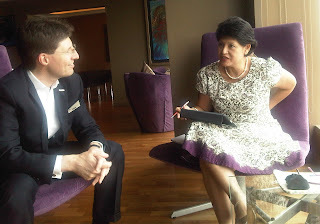 I did not know it then, but this was the start of a long and interesting working relationship with the Berjaya Group. At the end of 12 months, I was ready to develop my career and when I was given the opportunity to join the pre-opening team with the New World Hotel Kuala Lumpur, I did not hesitate to take up the challenge. I worked at least 16 hours a day here, splitting my time between the bakery by day and the fine-dining restaurant at night. I believe in working hard because I know that the rewards will follow. Equipped with the knowledge and experience in pre-opening operations, I was ready for the excitement when I joined the pre-opening team with the Palace of the Golden Horses in Seri Kembangan. The six restaurants in this world-class, award-winning hotel presented me with a host of challenges and over the span of 5 years, it helped to hone my skills, not only in the kitchen but also in staff management. 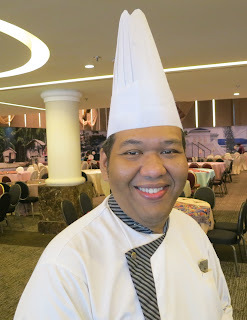 When the Radisson Hotel & Convention Centre Shah Alam was seeking an experienced Chef, I joined the team and enjoyed sharing my experience and learning more from working with a convention centre. I renewed my relationship with the Berjaya Group when I joined the team in the Berjaya Langkawi Resort as Executive Chef and after 4 years, I was assigned to the Berjaya Resort Redang for the next 3 years. For me it was like coming home because this was where I started my culinary career. The next few years of my career were a series of overseas postings to Berjaya properties in Mauritius, Fiji, Sri Lanka and Vietnam. One of any chef’s aspirations must be to open his own restaurant and I’m no different because my dream of setting up a restaurant turned into reality when my business partners and I launched a Malaysian restaurant we call Penang! in late 2012. Situated in Westfield London, a shopping centre in Shepherd’s Bush, our restaurant serves a menu of popular Malaysian street food like satay, laksa noodles, nasi lemak and salads. While it is a challenge to use the right ingredients to keep the recipes authentic for a discerning clientele, I’m happy that reviews are positive and some even say that Penang! serves one of the best beef rendang in London! 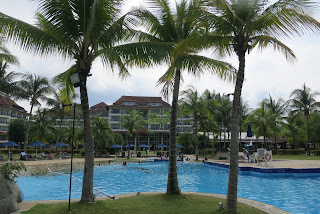 I joined the Thistle Hotels & Resorts at the Thistle Port Dickson Resort & Spa in 2010 and recently moved to Johor Baru as Executive Chef with the Thistle Johor Baru. Before coming to Johor, I had no idea about the wide variety of flavours in Johor cuisine until I understood Johor’s heritage as a melting pot of Asian, European and Middle-Eastern cultures. I was determined to taste as many types of food as I could so that I can replicate them in our kitchen and present an authentic Johor Heritage feast for the breaking-of-fast diners during Ramadan. My Johorean colleagues spared no effort to introduce me to the local cuisine and as we went around for food tasting, I must have sampled briyani rice from at least 20 different outlets in Johor. 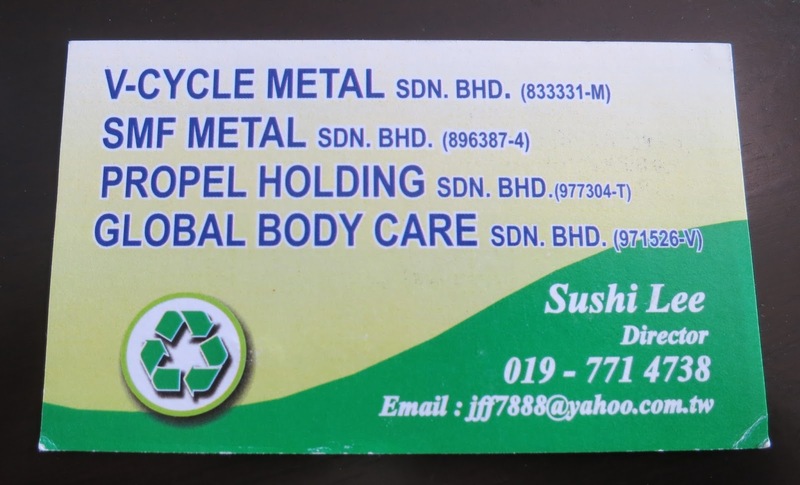 Having tasted some good street food in the city, I’m aware that the discerning palates of Johorean diners will demand total commitment from our kitchen team and I’m very proud that we have met their high expectations. I was undeterred and determined to accept the challenge to serve Johor cuisine to Johoreans because I believe that in any cuisine, when the food is good, the people will come! As Johor Baru is rapidly developing into a modern metropolis, I’m seeing more eateries being established to serve a wide variety of cuisine that matches the tastes of an international clientele. The food industry in Johor is going through a boom and I’m excited to be part of the food scene. I know that food wise, Johor is going to be a very interesting place. Our pets are like members of our family and my earliest memory of such a pet is Sally, a dog that dad brought home from Gelang Patah in the 1960s when he was with the Government dispensary there. Sally had a litter of 6 puppies and while 5 were adopted, we kept one jet black puppy that we named, Ringo. When our parents were transferred to Masai where they worked with the Health Sub-Centre for the next 13 years, Ringo moved there with us. I will never forget how uncanny and spooky it was a few days after Ringo died at a ripe old age, when a stray that looked exactly like him, wandered into our compound and we adopted and named him, Fido! Jojo happily gnawing at a bone! After the demise of a much-loved pet, it is always difficult for me to adopt another but when I was ready in 2006, I left word with friends that I was seeking to adopt and almost every one of them referred me to Joseph Chia Lee Chuan. His name seemed to pop up in every conversation about my quest for a puppy and it soon became obvious that he was the man to go to for pet adoption. Our first encounter was a rendezvous at the Kulaijaya toll gate and Chia led us on a long and winding drive to Seelong where he had an animal shelter built within a durian orchard. As we drove behind Chia’s old boneshaker of a car, I remember telling my mum that I noticed that he had removed his car’s back seats, probably to accommodate the animals he ferried to and from the shelter. 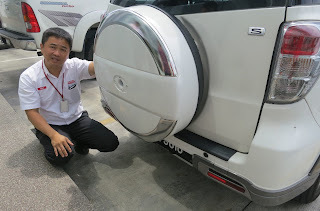 It was much later that I learnt that Chia has dedicated his life to care for abandoned, stray and abused cats and dogs – and his commitment knows no bounds because as long as there was enough fuel in his car, he will go out to rescue these animals. Through Chia, I adopted a mangy fur-ball of a puppy that mum held on her lap as I drove home and I named him, Jojo, after Joseph Chia! 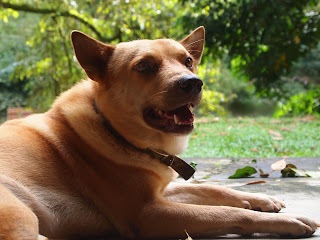 Fast forward to 2012 when Chris, a friend who wanted to adopt a dog to be a guard and companion as he moved into a bungalow house with a large garden that has a few matured durian trees. There is no question of whom we should call so I contacted Chia and fixed an appointment to meet at a petrol station where he led us to his animal shelter that has relocated to Lima Kedai. As we trailed behind his car, bumping along unfamiliar and uneven laterite roads, it occurred to me that he must have needed a bigger site because the pet population may have dramatically increased. Back in 2006, I talked to Chia about what he was doing for the animals and he lamented that when people are aware that he has a soft spot for cats and dogs, they often dump unwanted pets on him. Pet owners must be responsible towards their pets and avoid abandoning them because after being domesticated, these animals cannot fend for themselves and may die miserably. If pet owners can no longer care for their pets, they must help their pets find new owners and let them have a future where they are cared for. 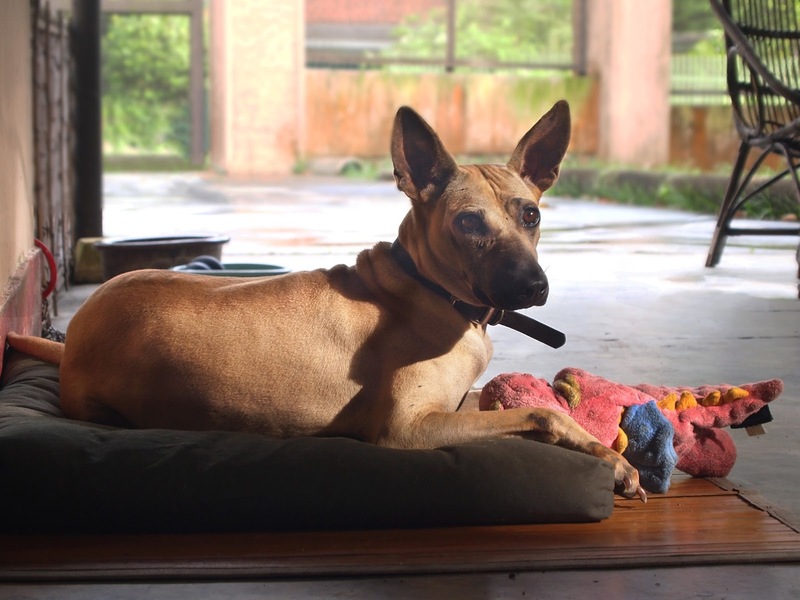 Pala loves to lounge on her bed and play with her toys! Chia’s passion in rescuing and maintaining abandoned and stray cats and dogs is an endless task especially when pet owners continue to abandon or give up their pets. These voiceless, helpless and misunderstood creatures usually end up on the streets, often being abused by fearful and careless people and they end up being hurt. The bad attitude of such pet owners starts a vicious cycle because if the strays are not spayed or neutered, they will breed and aggravate the situation by adding to the stray population. To educate and encourage pet owners to be responsible towards their pets, Chia started an animal welfare society called, Companion Animal Rescue Effort Society or CARES, in short. Besides operating an animal shelter, CARES has a network of volunteers including veterinary surgeons and animal lovers who support Chia in his work with the animals. CARES regularly holds pet adoption drives and encourages people to adopt animals that need homes instead of buying pets that may challenge inexperienced owners with their special diets and environmental needs. In the shelter, Chris had his pick from some 250 dogs of various ages and even though he started out with the intention to adopt a male dog, he was so taken up by another female dog that he decided to adopt them both. 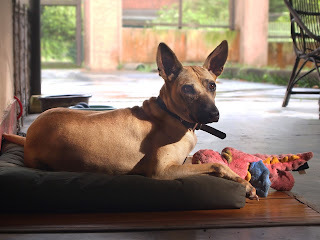 While Chia arranged for the female dog to be spayed before delivering the dogs, Chris was like an excited father, preparing for the arrival of his children. I remember we shopped for water bowls and collars and he also placed orders for custom-made cotton stuffed beds for his dogs! He named the male dog Dusun while the female is called Pala and with his training and loving care, they now look healthy, happy and confident. Chris and others like him have provided safe and comfortable homes for pets adopted from CARES but a lot more needs to be done to educate and encourage people to adopt and be responsible for their pets. CARES is doing a real service to the community but they need a great deal of support, both financially and practically, to continue with their work. Hi Peggy, I applaud you for writing a balanced, well thought out and heart-warming article about the plight of stray and abandoned companion animals in our midst. Thank you from the bottom of their "furry" hearts! P.S. I'm quite taken aback by your account of me and how you know so much about me. It took a bit of time to get used to my new set of wheels but since welcoming her into my life last November, I have developed a warm rapport with her. I gave her an identity when I dressed-up her spare tyre case with a custom-made cover and she looks so alike my previous car that many did not realise that she is a different car until they looked closer. A new car deserves a new spare tyre cover so Mal, my dear cousin in Sydney, Australia, offered to send me another custom-made cover in a design of my choice! After a bit of discussion, we decided on a design that features colourful butterflies and when it was ready, he brought it over on a visit early this year. Meanwhile, my old cover was still serving me well and as I could not bear to discard it for the new, I kept it on until the colours on the flowers started to fade. Mal kept asking me for a photo to see how the new “butterflies” cover looks on my car but since I have not used it yet, I could not send any photo to show him. In late July, I finally decided to replace the faded cover with the “butterflies” cover and when I saw how exciting its contrasting colours looks on my car, I’m ever grateful for the trouble Mal went through to get it made and brought over for me. 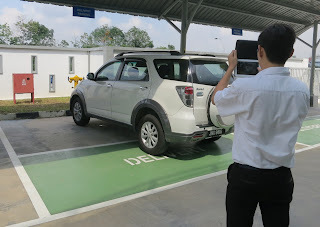 Recently when I visited my friend, Thirzah and her husband at their workplace in Taman Indahpura near Kulaijaya, I took the opportunity to snap a photo of the rear of my car to show Mal. Anything new looks good but I must be biased to think that it really looks very nice on my car! 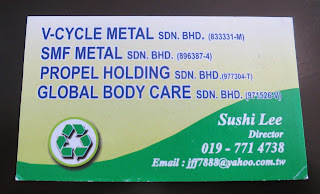 Exactly a week after snapping that photo, I had a lunch appointment with Batcy, a friend whose favourite restaurant is Sushi Monzta in Taman Pelangi. It was Batcy’s work day so I arranged to pick and drop her back at her workplace in Taman Suria after lunch. Whenever we dined at Sushi Monzta, we always have a delightful time over delicious, freshly-made sushi and as Batcy often over-ordered the amount of food, we even had leftovers to pack as takeaways. We still had plenty to chit-chat as we drove along Jalan Tebrau to head back to her office and when the traffic lights at the junction with Jalan Kebun Teh turned red, I slowed to join the queue in the middle lane, stopping my car but not our chatting. Whatever our hot topic of conversation was (I can’t even recall what it was now!) it suddenly came to an abrupt halt when I heard a crash and felt a rude jolt as the car behind rammed into the rear of my car! In that instant, I looked at my rear view mirror and saw the driver of the car behind, look up from whatever he was doing below when he lost control of his car. My heart sank from the very thought of having to go through the hassle of dealing with a collision caused by someone else’s carelessness. As I reached for my camera – to take photos of the collision – the driver of the car behind, moved out of his position to drive to my left because the traffic lights had turned green and the traffic around us was already moving forward. Batcy was just as upset because when we stopped at a nearby service station, she alighted first and started to speak to the other driver (a Chinese man) in Mandarin about his negligence on the road. He did not appear to be contrite even though he admitted to having a great deal on his mind because he said, he’s a busy businessman. This was certainly an unacceptable excuse and while they talked, I looked at the damage on my car. I could understand most of what he was saying in Mandarin but I spoke very little because Batcy was doing the talking for me. He passed his name card to Batcy with a suggestion to send my car for repairs at a nearby workshop that he is familiar with but I was determined to go back to Toyota for genuine parts. As Batcy was still speaking to him, she passed his name card to me and when my eyes fell upon his name, I was both confused and amused. He must be familiar with the curiosity about his name because he responded coolly when I asked him “Is this your name – Sushi?” I had to suppress a smile as this seriously cannot be a man’s name and I deliberately avoided eye contact with Batcy because I might not have maintained my control. I could hardly believe the chances of being involved in a crash with a man named Sushi, especially when we just enjoyed such a sumptuous sushi lunch! Thankfully this injected a bit of humour to lighten the moment in this bad experience because the subsequent steps to start the process for my car insurance claim and repair/replacement, is going to be a long drawn nightmare. 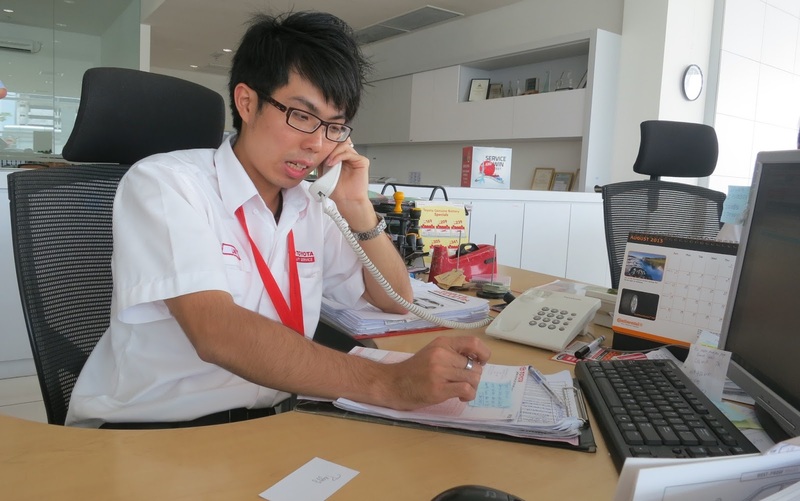 I took my car back to Toyota for the professionals to assess the damage so that I have the details to make a clear Police report and the Service Advisors were very thorough. When I removed my “butterflies” spare tyre cover for the Advisors to have a closer look at the spare tyre case, we discovered that the case was cracked at the most crucial point – in its centre where the lock fastens the case and tyre to the car. Armed with this info, I went to the Traffic Police station at Jalan Tebrau where I took a number and joined the queue to wait for my turn to make my report. It was mid afternoon and the blazing sun was beating down on the glass walls of the station, turning it into a virtual “oven.” The officers behind the counters had stand fans blowing directly at them to keep themselves cool while the public – including me – waiting for their turn to meet the officers, were baking in that muggy heat! When my turn came, I presented my Identity Card and driver’s license to the officer and watched as he nimbly typed in the info on his keyboard, using just two fingers. I know it was mere routine for him to ask those questions so I provided as many details as I could to complete the report. When he finished typing, the officer turned the screen around with a request for me to read and confirm its accuracy before he printed it. I spoke to him comfortably in Bahasa Melayu and when he was about to return my Identity Card, he looked at it again with a puzzled frown and confessed, “Saya ingat awak ini Punjabi!” I can’t blame him for being curious and because I often get mistaken for any race except what I am, I was not offended by his comment. We shared a laugh about his confusion but I was laughing louder inside because it was uncanny that, that very same morning, I attended an event organized by the Johor Baru Punjabi Education Centre with members of the Punjabi community! Then the officer handed me a document and instructed me to go upstairs to meet the investigating officer in a particular room. As I climbed the two flights of steep steps, I wondered if they had an elevator for the convenience of the disabled and elderly who came to make their reports. I glanced at the document to confirm that I was supposed to meet a Sergeant Wong and gently knocked on the door before opening it. The officer behind the desk was just finishing a phone call as I entered and sat in front of his desk. Fresh from my ambiguous identity incident with the officer downstairs, I did not rule out more confusion with this officer who was looking at the document I handed him. He seemed to hesitate a moment and I realised he was wondering what language we should use between us because (on paper!) we are both Chinese. We settled for Bahasa Melayu and in the course of our conversation, he shared his life story to explain why he does not speak Chinese even though he is ethnic Chinese. Later as we went to look at my car with the Police photographer, Sgt Wong and I chatted about the challenges in learning the English language and when he asked me what I worked as, I simply said, wartawan, and he nodded knowingly. Then I had to go back to the counter to take a number and join another queue to buy a copy of the Police report. 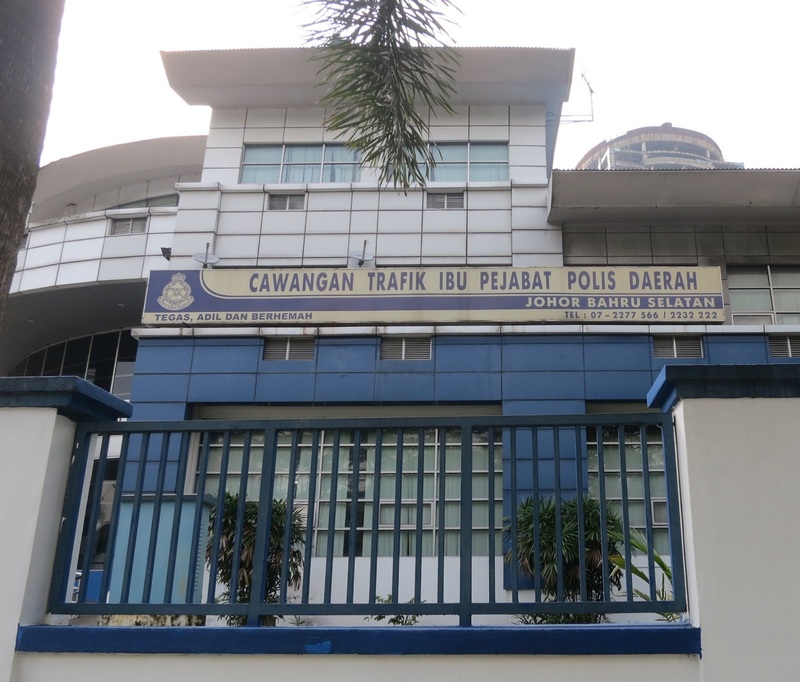 When I paid RM4 for my report, the officer circled a phone number on a document he gave me and said I should call in a week’s time to see if the investigation results report was ready for collection. He said that it normally took a week but since Sgt Wong usually “worked fast” he suggested that I call on Friday to check if it was ready. I could not wait for Friday to come and when it finally did, I did not hesitate to make that phone call to the station to find out if the results report was ready. I braced myself for the experience and was not surprised when the officer who answered sounded totally bored, complacent and unhelpful. I gave him my reference numbers and his blunt reply was a question, “Sudah lima-belas hari, belum?” I said the officer from whom I collected my report on Monday, suggested that I called on Friday to find out and he cut me off with another suggestion, “Panggil sergeant lah.” Sgt Wong’s mobile number was also on the document and when I spoke to him, he confirmed that the report was ready and I could go to collect it from the station. I was back at the station again to take a number to join the queue for my report and when I reached the counter, the officer took my reference number to search for the required report in his computer. After a futile search, he said it was not there! I insisted that the investigating officer said that it was ready and after a further search, he finally found it. As the documents were being printed, he checked off the list of documents I would require for my insurance claim and told me that I should come back (again!) next week for the sketch plan! When I quizzed him about this sketch plan, the officer replied that they would draw it based on the details in my report. I guess this collision was so straight-forward that they can reconstruct the scene from the reports submitted but since it was so clear-cut, why should the process take so long? I learnt that the sketch would be computer-drawn and with modern technology and the manpower in the station, I wonder why the entire Police report process needs at least 15 days! Like all other motor accident victims, I’m totally at the mercy of the system and have no choice but to wait. 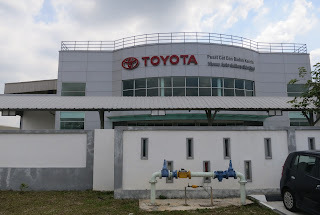 But instead of wasting precious time, I started the process to get my car repaired by going to the Toyota Pusat Cat dan Badan Kereta in Taman Desa Cemerlang to let the Service Advisors inspect my car and order the replacement parts. The Advisors were very helpful and at the end of their inspection, I was reminded that the insurance adjusters will have to inspect my car too and an appointment would be set up next week. I rushed to spread open the tyre cover and held it up for a closer look. To my horror, I spotted two holes torn into the lower part of the cover! It must be our ESP bond because Mal called that very day and when I told him, he instantly responded by asking me to send him another image to custom-make a new spare tyre cover for me! After going through the ugly experience, this is a refreshing consolation but I politely declined his kind and generous offer. I’m impatiently waiting for time to tick slowly by until this is all over but the ugly scars on my “butterflies” spare tyre cover will remain a stark reminder of my unhappy encounter with a man named Sushi. I’m so looking forward to some chill-out time and a quick retreat away from the city is just what I need. I long for the soothing sound of waves breaking on sandy shores to help me recharge my batteries and I guess a pampering spa treatment will also do me good. Driving to Desaru is a breeze since the expressway opened in 2011 so I’m off to the Pulai Desaru Beach Resort & Spa. It’s mid morning as I join the expressway from Ulu Tiram to drive along the Senai-Desaru Expressway to Desaru. Keeping to the left lane, I take my time to take in the scenery and slow down to admire interesting vistas of orchid farms and undulating terrain covered by plantations of young oil palms. When I cross the scenic bridge that spans Sungai Johor near Teluk Sengat, I slow to a crawl to enjoy the view. Even though it’s a weekday, the carpark in the resort is almost full and I wonder if I came at the wrong time but my fears are put to rest as I walk into a balmy breeze and pause to take in the panoramic view of the South China Sea from the lobby. 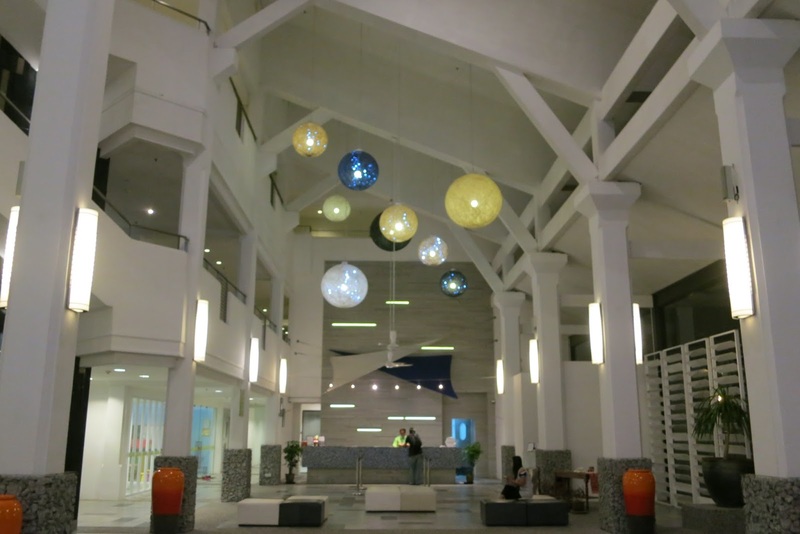 It’s like coming home because I’m familiar with the Pulai Desaru and from the refreshing colours and new fittings, I can see that the resort has been recently refurbished. A great deal may have changed in the resort’s décor but I’m happy that nothing has changed in their familiar, friendly and attentive service. I pull back the curtains and open the sliding doors to enjoy the sea view and welcome sea breezes into my room. In the distance I hear laughter and loud cheers from a group enjoying beach-front activities, probably in a corporate team-building retreat. After a satisfying lunch at the Palm Brasserie, all I want to do now is to curl up in bed with a book. the balcony for a panoramic view of the sea! 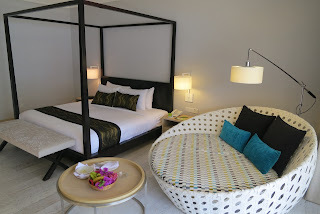 A little shut-eye later, I’m refreshed and ready for my spa appointment and I remember to close the balcony doors before I find my way to the Pulai Spa. I surrender myself to my therapist and let her pamper me with an eclectic mix of Asian and European therapies to undo the knots in my shoulders and restore balance to my mind and body. I can feel the tension melting away as aromatic oils and her healing hands work together to rejuvenate and get me ready to enjoy my stay at the resort. There is a little rumble in my stomach, reminding me to go in search of some food but I make a quick stop at the Tour Desk to arrange my visit to a few nearby attractions tomorrow. I step into the cafe and an enticing aroma of sizzling garlic and succulent meat from the Teppan Japanese Restaurant convince me to join the guests seated at the counter for a freshly cooked teppanyaki dinner. Strolling musicians provide live entertainment during dinner and when I wash down the tasty meal with my final cup of green tea, I decide to hit the sheets and catch up on some sleep to gear up for tomorrow’s activities. I loathe to leave my comfortable bed but the sunlight streaming in through the slit in the curtains tells me that I should get moving and have some breakfast before I join the group tour. When I reach the breakfast terrace, the breakfast buffet is in full swing as guests help themselves to an array of food laid out in banquettes in the terrace and in the Palm Brasserie. I peek at what others are eating and can’t help but notice that the spicy onion sambal seems to be a hot favourite (pun intended!) as many guests are having a portion of the red-colour condiment with their food! 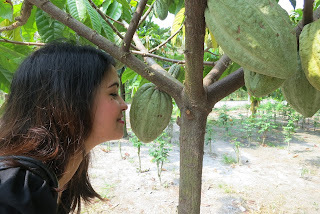 A few ladies join me for the tour and in our first stop at the Desaru Fruit Farm we meet our guide, Henry Goh, who happily shared his exceptional knowledge about fruits and trees to give us an interesting and informative tour of the farm. It’s fun to walk around the trees and get ferried back to the reception area in a modified truck. After learning so much about the fruits, it’s just right to end with a drink of refreshing chilled passion-fruit juice and a mouth-watering fruit buffet. The tour continues with a drive to Pengerang for a taste of kampung food in a home-cooked lunch hosted in a 70-year old family house in Kampung Batumas. Mahya Mohd Yusof, our host and cook, prepared a menu of fish – ikan selar masak lemak cili padi – cooked in spicy coconut milk gravy, deep-fried chicken, stir-fried mixed vegetables, fried salted fish and a side of spicy sambal belacan condiment with banana fritters for dessert. In true kampung tradition, we sit on the floor and eat the food with our hands. For drinks, we have pandan infused sweet tea at the start followed by sweet black kampung coffee after the meal and there is also refreshing coconut juice! Our return drive to the resort is through another scenic route and our driver kindly pointed out various places of interest en route and I’m particularly fascinated by the World War II relics left behind by the British in the Pengerang Battery. A historical site such as this is rich with legends and horror stories, presenting us with an interesting conversation topic as we return to the resort. Coming in from the warm and humid weather, the swimming pool looks very welcome so I didn’t hesitate to change into my swimsuit before plunging into the pool. river cruise to catch a glimpse of fireflies! I keep an eye on the time because I should assemble at the Tour Desk to leave for the night’s adventure to see fireflies so I have a quick dinner at the Palm Brasserie. 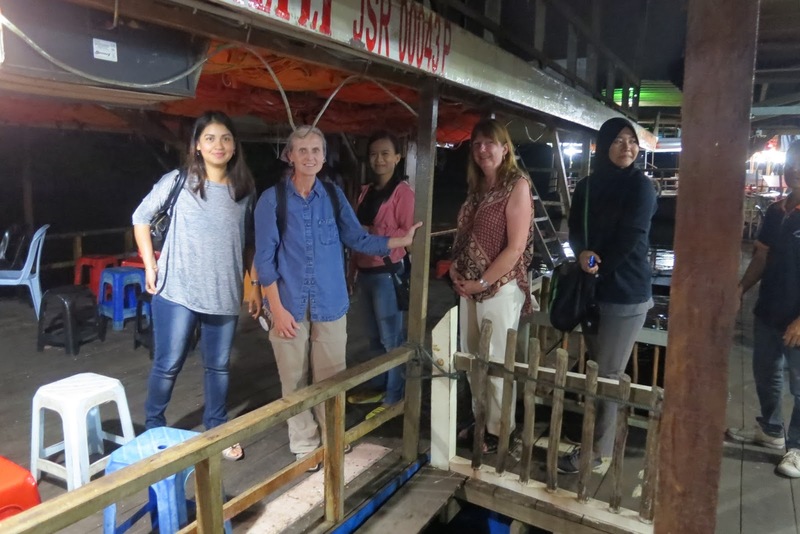 The trip entails a drive to a jetty built into the edge of the river for guests to conveniently embark and disembark from a wooden barge that cruise the river in pitch darkness to better observe fireflies in their natural habitat. We sit on stools as Bujang, the barge operator, pilot the barge gently down and upstream, and when his assistant splashes water on overhanging branches of mangrove trees, we gasp in excitement as shimmering clouds of tiny lights rise and move in the pitch darkness! The rare and exciting experience with the glittering fireflies is quite unforgettable and as the night is still young, I take a moonlight walk along the beach with thoughts about how impossible it is to see fireflies in the city! 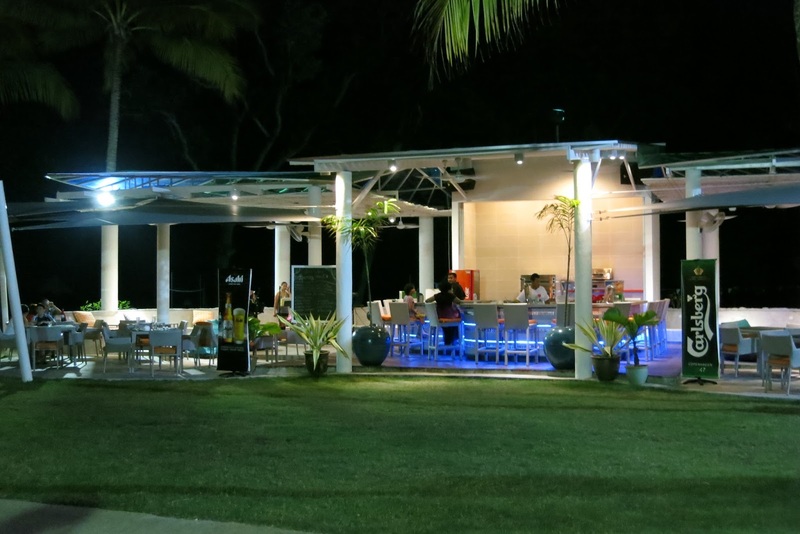 The sound of live music from the Beach Bar is a definite draw and I join the crowd there for a drink. As I sip my attractively adorned drink and listen to the constant swish of rolling waves in the background, I’m feeling very much like myself again. Enjoy a smooth and comfortable 45-minute drive from Johor Baru on the Senai-Desaru Expressway that links East and West Johor. 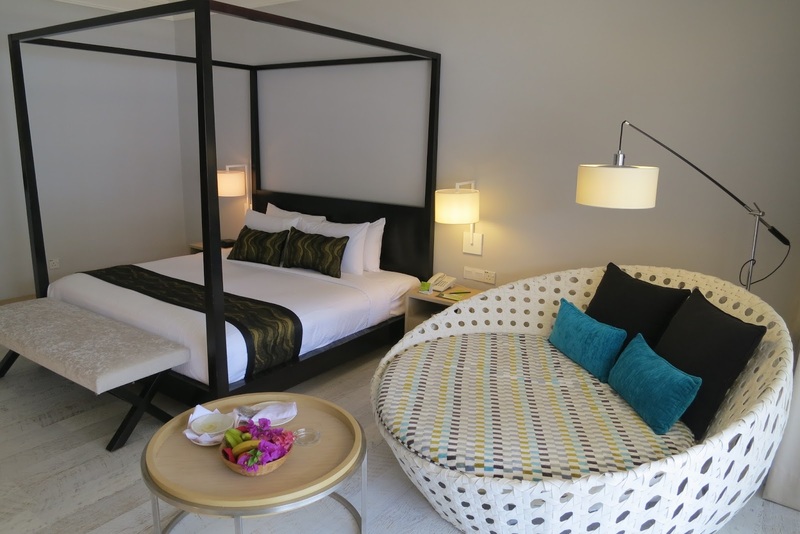 Recently refurbished spacious guest rooms in Standard, Standard Superior, Deluxe and Loft rooms feature contemporary designs and comfortable elegance in a palette of fresh green shades and signature floral motif. The Pulai Spa, function rooms, recreational facilities like gymnasium, swimming pools, a range of water sports and Kid’s Club indoor children’s playroom. Twenty-two km stretch of sandy beaches and panoramic views of the South China Sea. Every year I make my way to the Ramadan Bazaar in Larkin to soak in the atmosphere and enjoy the mouth-watering aromas from live-cooking stalls among the rows upon rows of stalls that sell pre-cooked food for the breaking-of-fast. 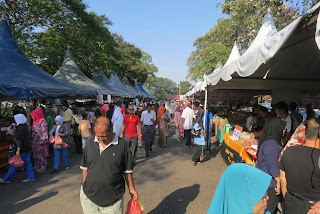 The Bazaar in Larkin is reputed to be among the best and when it coincides with the regular Sunday evening pasar malam or night market, the crowd is overwhelming and needless to say, the traffic – horrendous! 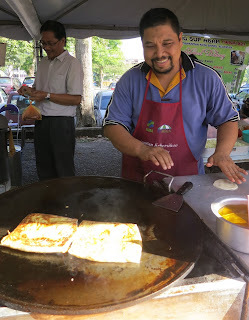 I must confess that this year, I had an acute craving for apam balik, the thick version of this pancake – served freshly made from its cast iron pan, spread with melting butter and sprinkled liberally with crushed toasted peanuts and sugar. This craving was compounded by my mum who told me that when she went to the bank with her brother, he bought delicious apam balik from the stall outside the bank and she enjoyed every bite with a cup of hot coffee. I hoped that she brought home a slice for me but I was told that it was so good that they finished it. I made a mental note to get some from that stall outside the bank but by the time I got around to it, the stall had closed for Ramadan! So my quest for good apam balik continued relentlessly in the month of Ramadan. As I fought the traffic to find a parking lot at the rear of the stadium, I was focused on finding some freshly made apam to savour. My sister insisted that I should find it at the Larkin Ramadan Bazaar and even though she started buying some of our favourites like freshly-fried vadai and minced beef murtabak, I refused to be sidetracked. Even the enticing aromas from sizzling sambal on fish being grilled on banana leaves, did not distract me from my hunt for apam balik. Original thick version of apam balik pancake! “Over here!” I read the hand signal my sister made and I quickened my steps to join her in front of the stall that sold stacks of apam balik – the thick kind – exactly what I had desired for so long! 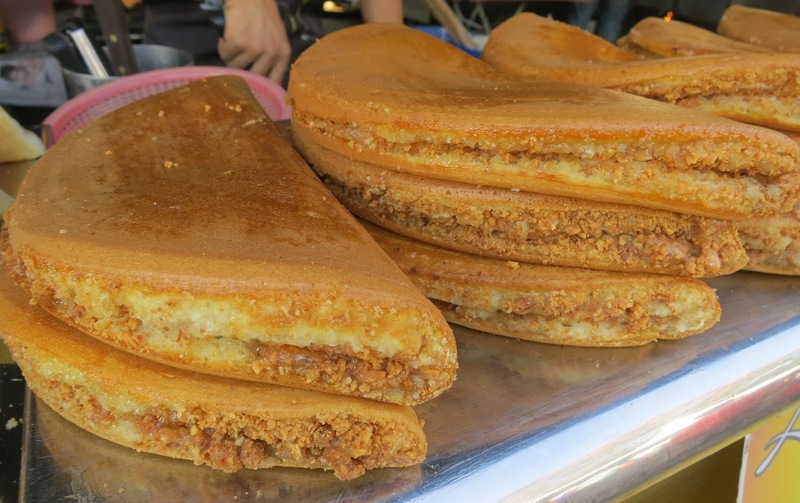 I don’t think it was my vivid imagination, born from yearning for so long but I could almost hear the steam hissing from the hot apam on the top-most stack and I pointed to, not one but two slices, and the vendor deftly sliced through its thickness and wrapped it up for me. The buttery fragrance seemed to tantalize quite agonizingly and it crossed my mind to take a quick bite but good sense and propriety prevailed so I put the thought out and refrained because it was still not yet time for the breaking-of-fast. I had my first experience with Ramadan fasting in secondary school when we showed our solidarity with our Muslim friends and fasted along with them. It was quite a feat for the mind and body because no food or water should pass through the lips for hours. Our warm and humid weather challenged us to deal with the desire to drink as everyone agreed that our thirst greatly out-weighed the desire for food. There was also no air-conditioning in our classroom and I can still remember how parched I felt but just held on in a spirit of true camaraderie. When I was in my first job in Pasir Gudang, my fasting experience in school and the long work hours on the job, trained me to fast along with my Muslim colleagues. I remember how Usha Nair and I fasted along with Noormala and at the end of the work day the company car would take us to a nearby restaurant where we would buy a packed meal to break our fast later. It was just simple nasi goreng or fried rice, but it tasted heavenly! Looking back on those experiences, I can relate to what it means to fast from dawn to dusk. And if we feel that our tropical weather is a challenge to our fasting, then we should consider how our Muslim friends in the Middle East who experience desert climates, are even more challenged to deal with their hunger and thirst. It truly is a treat to berbuka puasa or to break your fast at a hotel where there is a wide array of food served in an attractively laid out buffet. But for most families where the parents work long hours, the next best thing is to buy a wide selection of food to create their own little buffet spread at home. 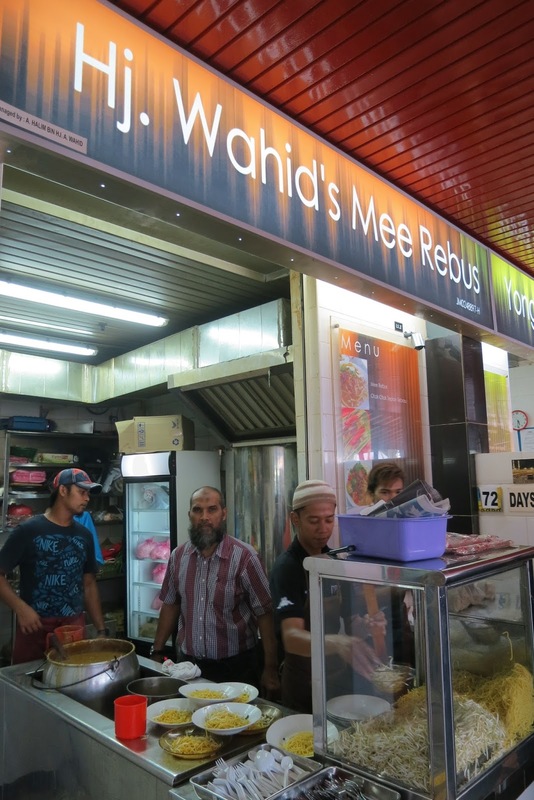 While the Ramadan Bazaars provide a real service to busy people who need to find some delicious food to break their fast, it is also a destination for non-Muslims who are seeking Malay delicacies. 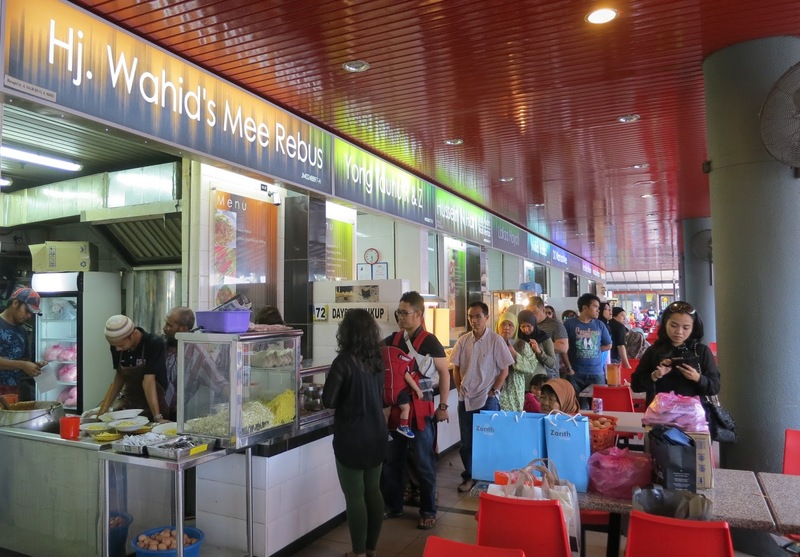 These regular bazaar patrons know where to go for their favourite Malay food and every year, they look forward to the Ramadan month so that they can indulge in some of their favourite Malay dishes and desserts that are home-made and delicious! 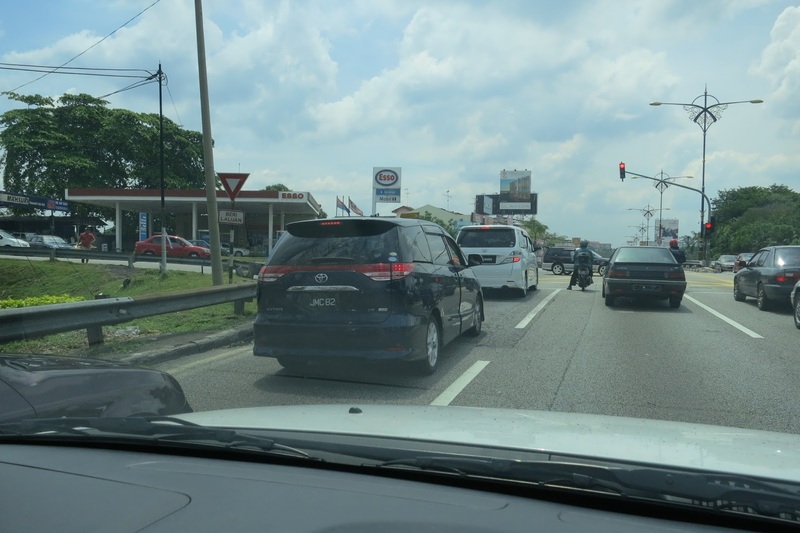 One of the most popular shopping destinations in Johor Baru during Ramadan must be Angsana Mall and even though the open-air parking areas have increased, it is almost jam packed daily but regulars still manage to find a spot to park around the mall. To join in the festive mood, I decided to brave the traffic to Angsana Mall to have a look at the Raya cakes and cookies there. I was very fortunate that a car was just backing out to leave in front of the mall when I arrived and I parked in a legal parking space. I made a beeline for the Raya Bazaar that was set up in a tent outside the mall but first, I must pass the recently refurbished food court. I paused to take in the view of new rows of tables and brightly coloured chairs but my eyes were riveted to the long queue of more than a dozen people waiting to be served at Haji Wahid’s mee rebus! More than a dozen people queuing up for mee rebus! I caught a glimpse of Haji Halim heaving a giant pot of gravy behind the counter and had to stop to say hello to my friend. As Haji Halim was stepping out of his stall for a quick chat, my sister commented to me in a whisper that the only queue in the food court was for Hj Wahid’s famous mee rebus! It appears that fans of his noodles are always prepared to queue for takeaways because I know that at meal hours even on normal days, there is often a queue to order and eat! The sight of the hungry queue and happy throng of last-minute shoppers in the mall certainly put me in the Raya mood. 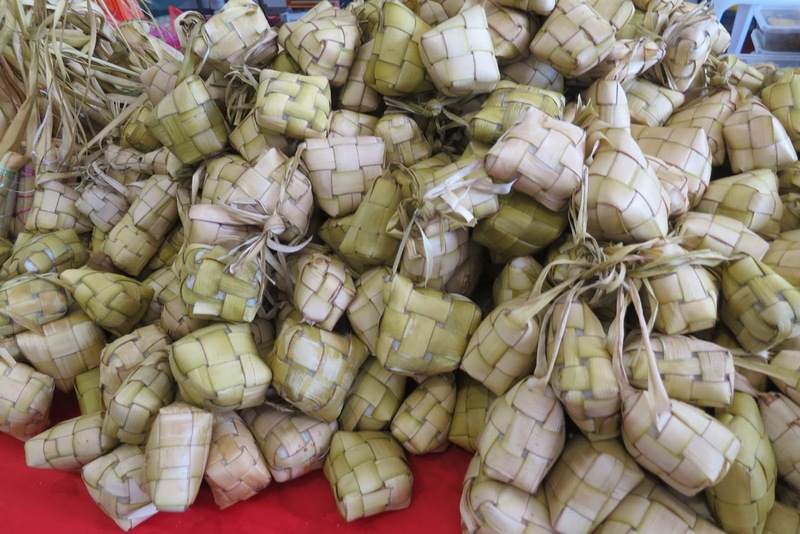 I don’t know about you but I’m looking forward to a taste of ketupat and rendang and a sampling of all the irresistible traditional kueh Raya. Here’s my sincere Salam Hari Raya Aidil Fitri wish to all Muslim friends - may you have a happy family reunion and do drive safely! I was born in Dublin, Ireland, the eldest with two sisters and we lived in Howth, a small fishing port north of Dublin where our father owned a German fine-dining restaurant. We ran the business successfully for 10 years and I used to spend 4 days a week helping in the kitchen for about 8 years. This was my early training in the service industry as I grew up learning from first-hand experience in the kitchen and one of my tasks was stocking up the wine cellar. For working in the restaurant, I received a wage of British Pounds 1.00 per hour and I will never forget that day when I got a pay rise. I was 12 years old when my father handed me a brown envelope and as I counted out my wages, I was thrilled to discover that I had a raise of 50 pence an hour. At that time, a wage rate of British Pounds 1.50 per hour was a quite a princely sum! In 1988, I was given the option to study Economics or go to Hotel Management School and I did not hesitate to decide on going to the Shannon College of Hotel Management, a recognised college of the National University of Ireland. All the experience I gained from working in my father’s restaurant came in very handy as I successfully completed my hotel degree. The course required me to spend a year in London and another year in Switzerland, where I gained valuable work exposure, before I graduated and started a career in the hotel industry. I joined Thistle Hotels & Resorts in the United Kingdom, a group that has overseas properties and was keen to explore and experience another country and its culture. 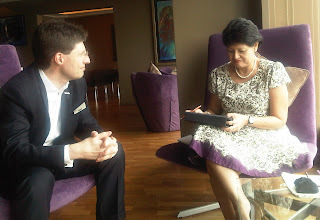 I was first assigned to a property in Cardiff before coming to Malaysia for the first time in 2011 and had the opportunity to observe the operations in our first two properties here, Thistle Port Dickson Resort & Spa and the Thistle Johor Baru. In April 2012, I was assigned to Thistle JB and over the past 16 months, I had the privilege of seeing the business increase and our standards of service improve. Thistle JB is a home away from home for many expatriates in Johor Baru, among them company managers and chief executives, and these long-term guests have become my friends. In our regular interaction, I discovered that human capital is a challenge faced not only in the hotel industry but also in their companies established in Johor Baru. In fact, on separate occasions when the Malaysian Prime Minister and Deputy Prime Minister were guests in the Thistle JB, our conversation topic was also on this prevailing issue of human capital in Johor Baru! The Malaysian greeting of a handshake with a gentle gesture of touching our heart is such a warm and genuine expression that it has been adopted at Thistle JB. 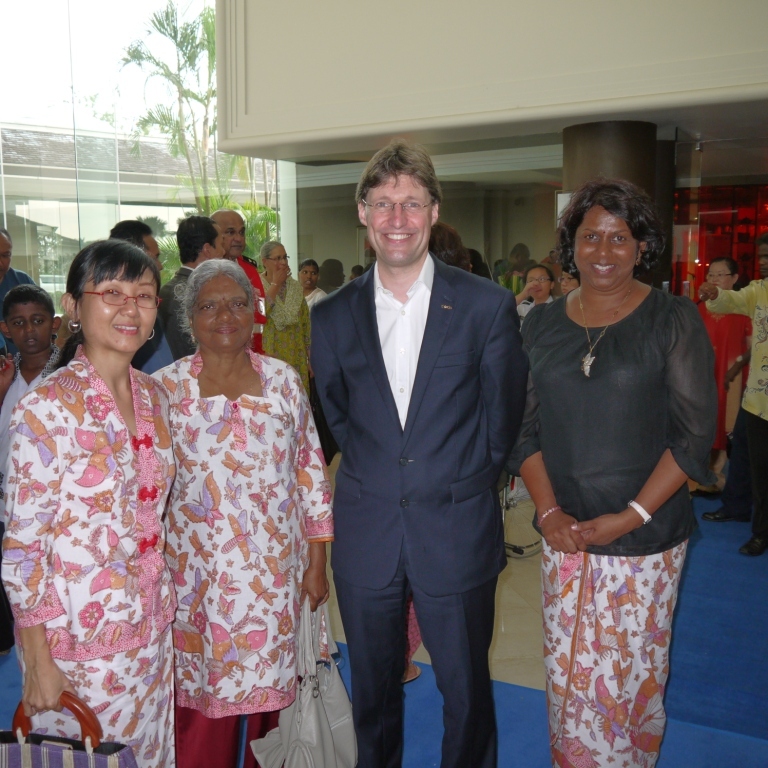 I believe in building on the natural Malaysian affinity for warm hospitality and a person’s inherent good qualities like what I observed in a long-serving security guard who warmly greets guests to make them feel welcome. I felt that his gift in meeting guests’ expectations should be recognised and it was unanimously decided that he should be reassigned to a more visible role in the concierge team as a Doorman! 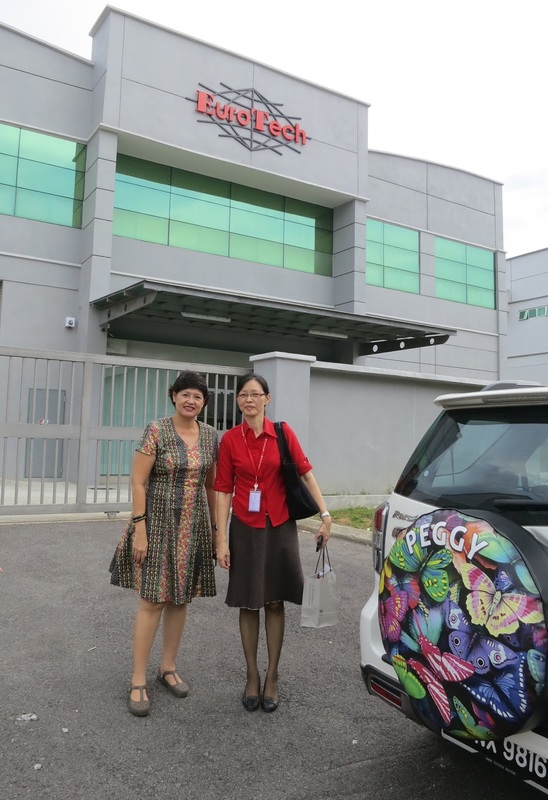 One of the significant milestones of Thistle JB was in September last year when our team supported Legoland Malaysia at their official launch and provided them with hospitality and support services. Even our bakery spared no effort in baking and decorating a beautiful cake designed as a Lego brick. With the rapid development of Iskandar Malaysia these few years, I’m proud that Thistle JB is part of the history that is turning Johor Baru into a vibrant and modern metropolis. Personally, I’m learning a great deal about the local culture especially having experienced Ramadan and discovering such a wide array of local food while sharing breaking-of-fast meals with guests and staff. Malaysia has such a diverse and colourful culture, as I have seen in the classical dances and beautifully decorated kolam during Deepavali. The Chinese lion dance was a deafening and unforgettable experience and I particularly enjoyed hosting a mega Yee Sang tossing event with some 200 guests in the last Lunar New Year celebration! The success of Thistle JB is always a team effort and I was honoured to receive the Diamond Award for City Hotel (4 to 5 Star) in the Accommodation Category for Thistle JB in the Johor Tourism Awards 2012. 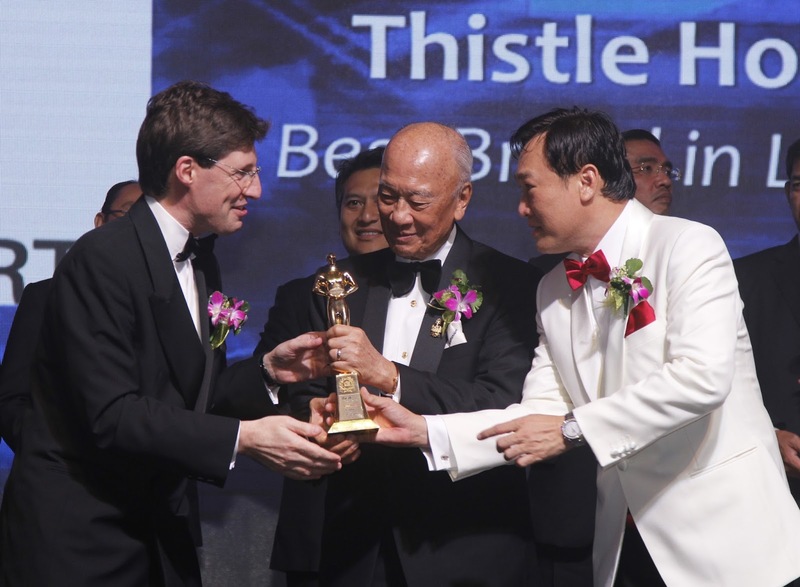 In June 2013, I received the Brand Laureate Best Brands Award 2012 – 2013 in Corporate Branding (Leisure & Hospitality) on behalf of the Thistle Hotels & Resorts Malaysia from Tan Sri Mohammed Hashim Mohd Ali and Dr K. K. Johan in a glittering event held in Kuala Lumpur. While customer feedback is helping us improve our service standards and individual competencies, healthy competition is driving up our standards and I believe there is enough business for everyone in Johor Baru.